We package our Dual-Frequency Processing Technology into a wide variety of equipment configurations. 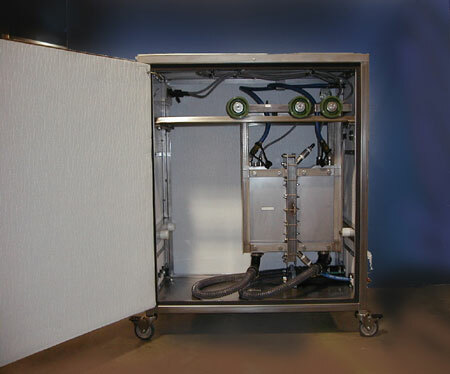 We offer many standard product groups packaged with f2 Technology. We also offer the ability to activate a unique system for your particular processing/installation requirements. Our Dual-Frequency Reactors are built with opposing bi-frequency sound sources. The synergy created by directly opposing transducers driven at different frequencies dramatically enhances the liquid/solid interface dynamics. The sound field's uniformity delivers effective and efficient ultrasonic treatment for all material passing through the reaction cell. 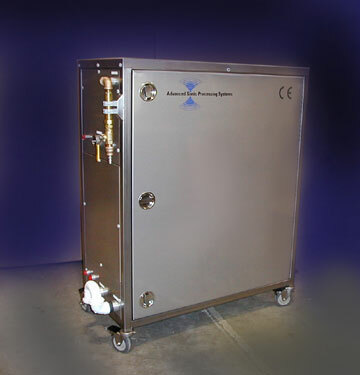 Advanced Sonics is proud to show a typical 100 kW Dual-Frequency Reactor. This system consists of (4) DFR-9624 Reactors, each with 24,000 Watts of ultrasonic power. 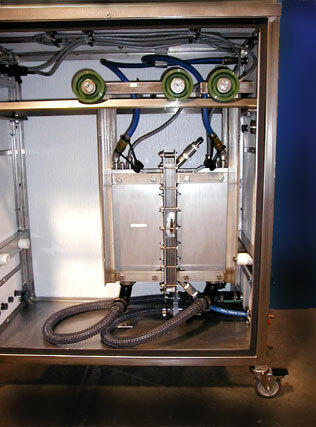 Processing Equipment with ZERO Maintenance. source, (generators that convert 50/60 Hz energy to higher frequencies). diaphragm plates driven by two different frequencies, (16 kHz & 20 kHz). The diaphragm plates form two of the walls of the reaction vessel. adjustable to meet your application power requirements. 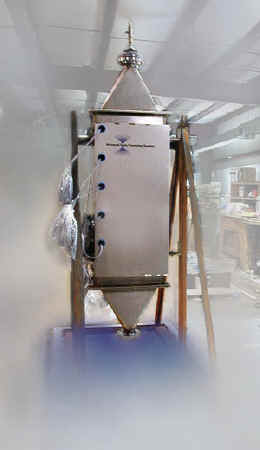 DFR Reactor to be configured to optimize the processing requirement. (approximately 3" for aqueous based solutions). Each diaphragm Plate section has a maximum power of 2,000 Watts. determined, scale-up may be as simple as a linear relationship. support staff to discuss scale-up requirements.